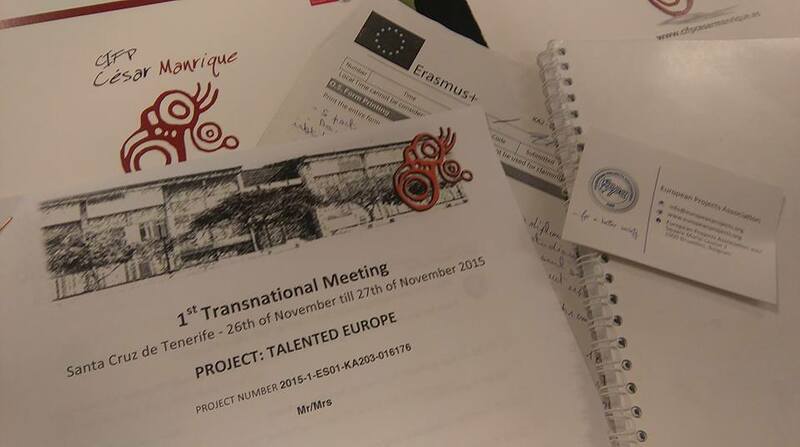 CIFP César Manrique, as coordinator institution of the Erasmus+ KA2 project Talented Europe, has hosted and organized on 26th and 27th November in Santa Cruz de Tenerife, the first Transnational Meeting of the above project. 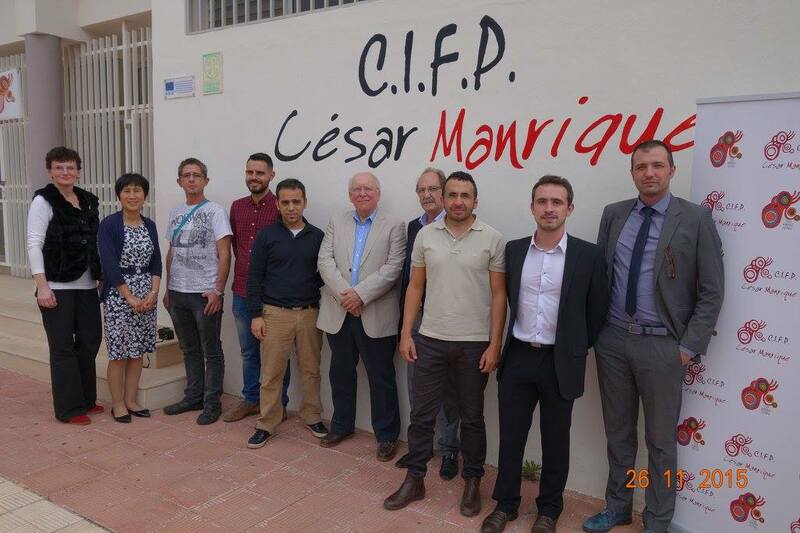 The Talented Europe initiative, a project to facilitate and promote the employability of young Europeans talented students, is a strategic partnership between the CIFP César Manrique, IES Puerto de la Cruz, universities in England, and Slovakia and a specialized organization in Belgium. The working meetings of the conferences have been held in the premises of the coordinating institution and the Chamber of Commerce of Santa Cruz de Tenerife. Members of Talented Europe are working on the definition and design of a cross-platform application, free and accessible to all types of mobile devices, which will have a database of students, schools and companies. The main objective of this project, which is part of the initiatives Youth on the Move and the Agenda for new skills and jobs in the Europe 2020 strategy is to help to reduce youth unemployment. Hence Talented Europe project bets for facilitating transnational movements of young people so as to achieve a better integration into the labor market. This transnational meeting have been attended by the coordinator of Erasmus+ for Higher Education and head of the department of Innovation and Quality CIFP César Manrique, Héctor Barrios Barrera, coordinator Erasmus+ Vocational Training, Eduardo del Reguero, with the director of European Projects Association, Dino Babic and his collaborator Frederic Fabre, and representatives of the universities of Bedfordshire, Neville Hunt and Yan Qing Duan, and the Technical University Kosice, Martina Pluchtova. As well as the project partners in Tenerife, the coordinator Erasmus+ for Higher Education, Carlos Manescau López, and the director, Sergio Delgado Quintero, IES Puerto de la Cruz – Telesforo Bravo. As a result of these successful conferences, the participants have taken a number of key agreements for the implementation and development of the project and have established working, monitoring and control plans of the activities of each partner, coordinated by the CIFP César Manrique.